Recently I used a beautiful carved jade pendant of a dog that I purchased at the outdoor market in Beijing. 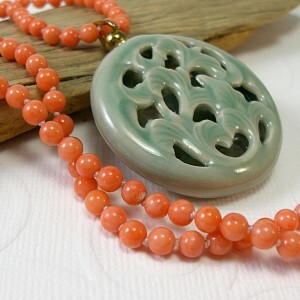 I placed it on a strand of button pearls that I hand-knotted on silk. The shape, size and luster of the pendant and pearls and the classic combination of jade and pearls make this a very special piece. Quality hand-knotting of pearls is something of a lost art and it makes my work stand out from many other jewelry artists. I lived in South Korea for two years and loved it. I'm somewhat obsessed with night lights (because I tend to prowl around the house at night). I have a third degree black belt in TaeKwonDo. I went to a one room country school house. I come from a family in which every member is artistic or at least handy. My mom is a quilter who tries new things all the time. My dad is a wood worker and carver. My older brother is a wood carver and my younger brother has a painting business and thinks nothing of rebuilding car engines. I majored in art in college and I'm always working on art and craft projects. 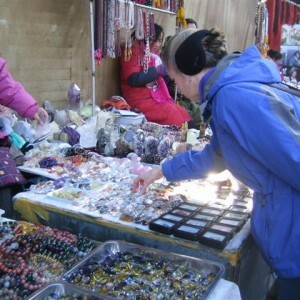 I got into jewelry making after I traveled to Beijing and went to the pearl market there. At first I made jewelry for myself and my friends, but when my designs started selling right off my neck my business was born. My design philosophy is that the Creator is the ultimate artist. 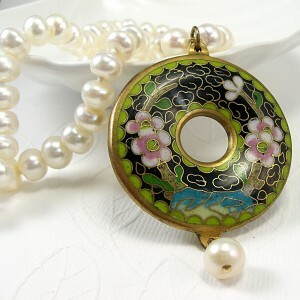 I am inspired by the luster of pearls and endlessly fascinated by natural gemstones. My designs focus on the gorgeous materials and bring out the beauty of the women who wear them. Much of my work has Asian elements. Almost all of my pieces are designed to be worn with any number of outfits. My practical nature insures that my pieces actually work and will last through years of wear. I sell my jewelry through my own website, my Etsy store and my Artfire store. 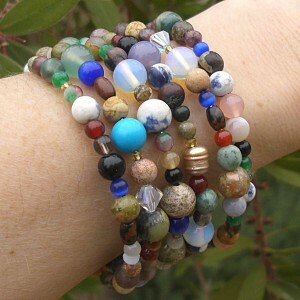 I love to buy handmade whenever possible. As someone who makes a lot of different items myself, I truly appreciate the years of learning the craft that goes into handmade items and the quality is often so much better than what you can buy commercially. 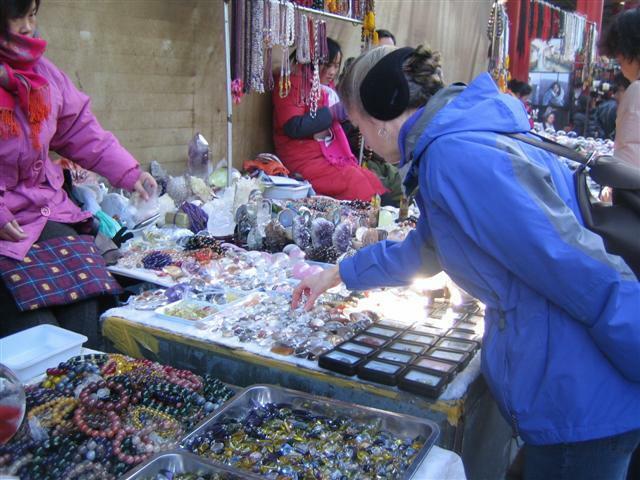 I also appreciate that so many handmade artisans are willing to make custom items.